What is the Facebook Pixel and how to get it on your site. The Pixel is one of Facebook's most valuable tools that allows you to accurately track marketing ROI on your site. By placing a snippet of Facebook generated code onto your site - you're able to create custom and lookalike audiences, drive more sales measure the results of your ads, and gain access to additional Facebook advertising tools. 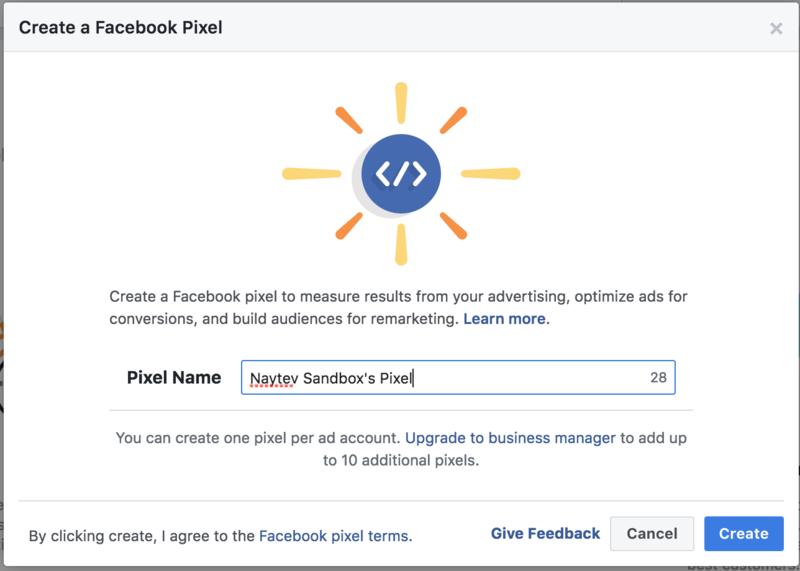 Quoting Facebook, the Facebook Pixel is an analytics tool that allows you to measure the effectiveness of your advertising by understanding the actions people take on your website. For your convenience, we've taken the Facebook instructions and consolidated them here. To set up your Facebook pixel make sure you have a website for your business and the ability to update your website's code. First go to the Pixel's tab in the Events Manager tab of your Facebook Ads Manager. This will bring you to the Pixel Creation Page. Once here click "Create a Pixel." After you click the button, a pop-up will appear and give you the ability to name your pixel. Once you've chosen the desired name for your pixel click "Create" in the lower right hand corner. A new pop-up will appear and you'll be prompted to chose how you'll install the Pixel's code onto your site. 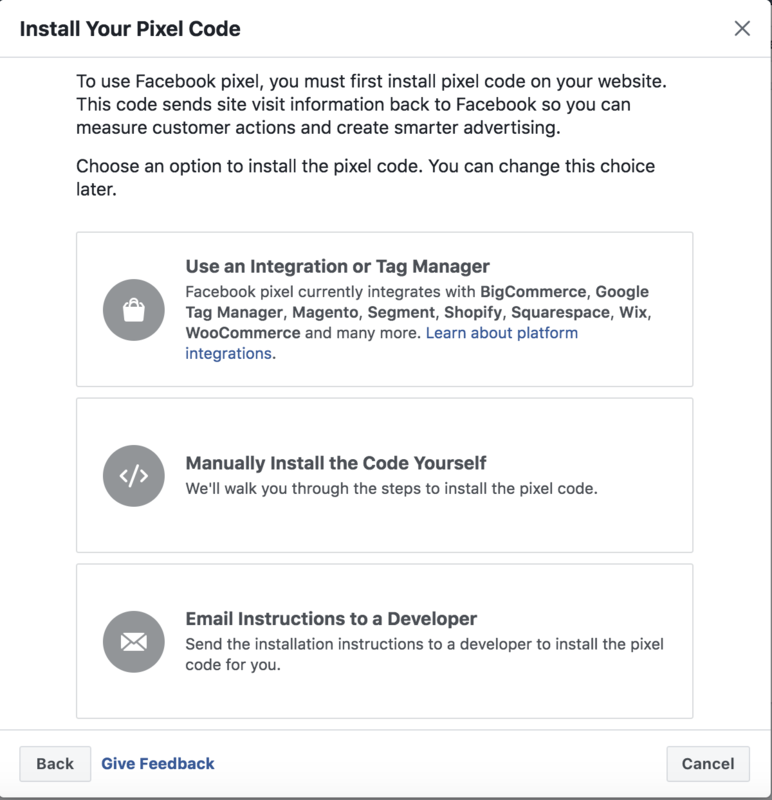 Set up the Facebook pixel by placing pixel code on the header of your website. When someone visits your website and takes an action (like completing a purchase), the Facebook pixel is triggered and reports this action. This way, you'll know when a customer takes an action, and will be able to reach that customer again through future Facebook ads. Access your newly gathered data from your Facebook pixel page. To get the most out of your Pixel make sure that you set up Pixel Events.